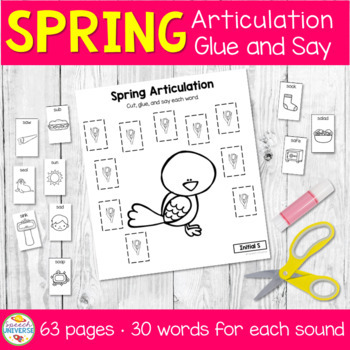 Glue and Say Articulation: Spring is a quick and easy activity for you to print and work on a variety of articulation sounds. 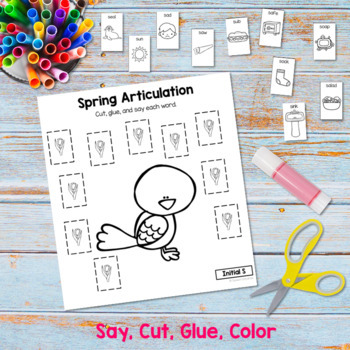 Students cut out the pictures at the bottom of each page and then glue them into the boxes provided around the spring item. A small picture is provided in each box as a visual for where to put the glue (my students always go a little overboard)! Students say each word as they place the picture into the box. 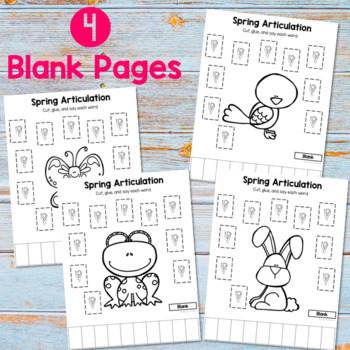 This can also be sent home as a practice activity. 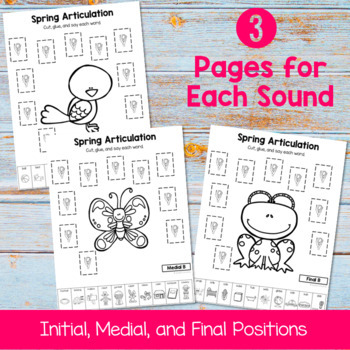 That is 59 pages of print and go activities for your students to work on!